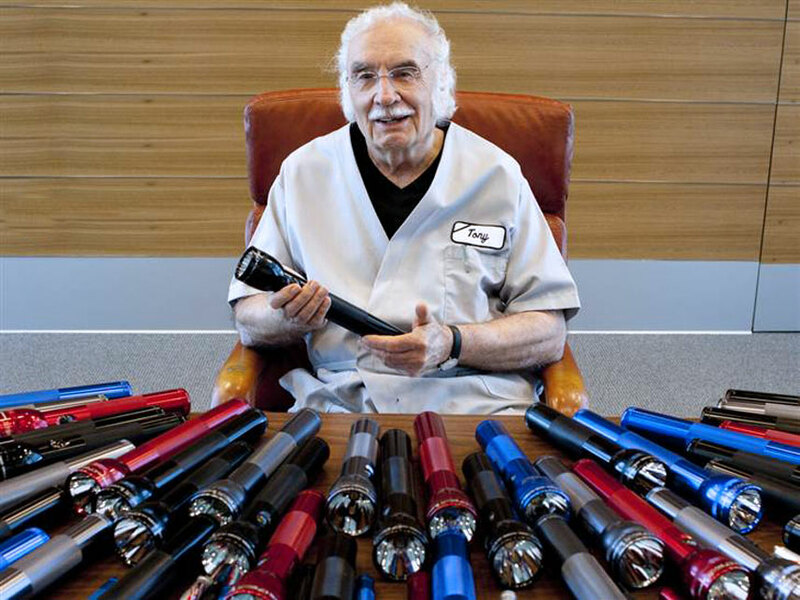 Maglite flashlight inventor Anthony Maglica founded his machine shop in 1955 as a one-man operation. Never did he dream of the success he would have, or the 200+ patents he would eventually hold for his inventions. Maglica also would never imagine that the State of California would be adversarial to his business. ‘Made in America’ still stands for American quality with many consumers, but California’s politicians are another story. I first met Maglite flashlight founder Anthony Maglica in 2012, and followed his attempts to reason with California politicians over an obscure law hurting his business. Maglica has manufactured the heavy-duty flashlights in California since 1979. He founded his company in Ontario, CA in 1955, first as a machine shop, manufacturing important components for all kinds of products, including Sputnik, and the first American satellite. He turned that business into an empire, and has sold more than 450 million hard aluminum-encased flashlights since 1979. And he has not raised the price of the best selling flashlight since. Maglica’s company has grown to a mega-business, and he has had more than 1,000 employees. His Ontario plant must be more than 1 million square feet of the cleanest manufacturing I’ve ever seen. But instead of being lauded for his efforts to keep his business in the economically challenged California, Democratic lawmakers instead have upheld an obscure California law which states that 100 percent of a product must be made in America, in order to have “Made in the U.S.A” on product labels. He had already gone to the expense of altering all of his packaging so that flashlights sold in California would not have “Made in America” on the label. But a shipment sent to Home Depot in Canada, was then sent by Home Depot to one of its stores in San Diego, where the flashlights were sold. A lawyer discovered this and sued Maglica for violating California Code §17533.7. Because the Maglite company can no longer purchase the flashlight light bulbs in America because politicians outlawed incandescent light bulbs in the U.S., Maglica was sued for not having a product made up of 100 percent U.S.A. manufactured component parts. This is the big violation Maglica found himself at odds with California over. He not only had to pay for lawyers to defend Mag Instruments Inc., the company had to pay his employees to destroy all of the packaging. While he won the lawsuit, he said it never felt like a win. The company did not have to pay anything additional to the opposing attorney, but the extra $1 million it cost Maglica to pay the lawyers and to destroy perfectly good product and packaging could have been put toward hiring more employees, he said. In 2012, then-Assemblyman Brian Jones, R-Santee, authored a one-page bill, AB 858, which would have altered California’s law to be in sync with federal law and the 49 other states. Jones’ bill had unanimous, bipartisan support and sailed through the assigned Assembly legislative committees. AB 858 appeared headed for bipartisan Senate support. But out of the blue, opposition in the Senate Judiciary Committee killed the simple bill. Then-Sen. Mark Leno, D-San Francisco, vociferously opposed the bill in what appeared to be on behalf of the Consumer Attorneys who opposed the proposed change to California’s law. In Maglica’s immense facility, it is abundantly clear that he not only manufacturers the many components of more than 20 different flashlights, Maglica has purchased, and turned around, several financially distressed component parts companies in order to keep components available for his line of flashlights. He has brought all of this additional work to his plant in Ontario. But even this has not helped him in California. 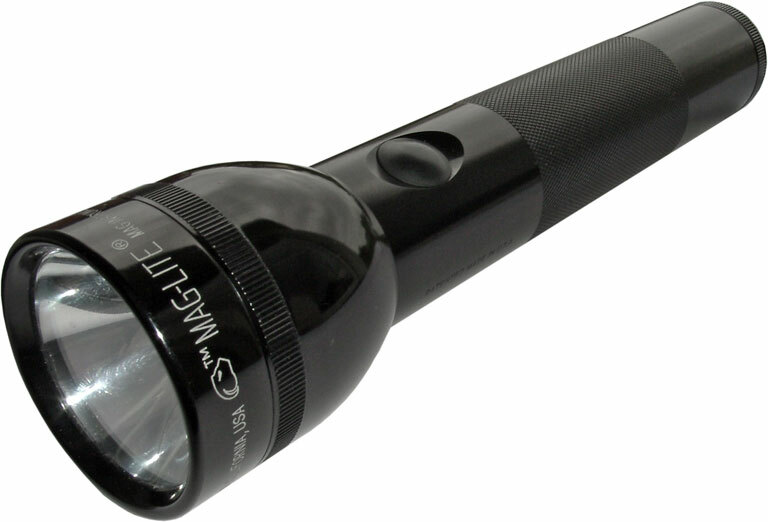 Because of California’s laws, Maglite, which is the only major flashlight company still manufacturing in the U.S., can never be advertised as an American product. “Consumers will never know that I employ hundreds of U.S. workers and that my company provides millions of dollars in economic benefit to the city of Ontario, the Inland Empire and the state of California,” Maglica said. Maglica was born in New York, but moved with his mother to her native Croatia during the Depression and lived there through World War II, and the ravages of war. He returned to the United States at age 22, where after working different jobs, he saved $125 to purchase a metal lathe and start his own machining business. Maglica is the epitome of the American dream, and has repaid America by employing thousands of highly paid workers in a very successful manufacturing business. He also worked diligently to make sure that manufacturing for his Maglite flashlights stay in Ontario, CA when he very well could have taken much of the work to Mexico for a fraction of the cost. Given that the Korean-built, Euro-spec Chevy Cruze has product contributions from more than 15 different countries, and is built in Mexico, California’s “Made in America” law is hypocritical at the very least. But it’s not over. The U.S. Congress may be more receptive, and willing to put California politicians back in their proper places. “Made in America” is about much more than products and parts; “Made in America” is about guys like Tony Maglica, who started the company in his garage and grew it to a multi-million dollar business, providing thousands of tax-paying Californians well-paying manufacturing jobs. This entry was posted on Monday, June 5th, 2017 at 10:22 pm and is filed under Blog Posts.